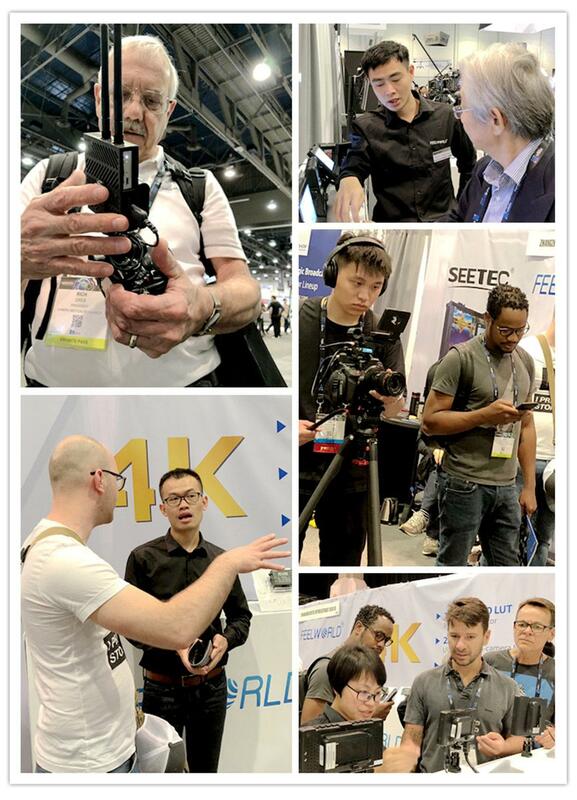 Time passed quickly, and the four day 2018 NAB was successfully concluded in April 12th. 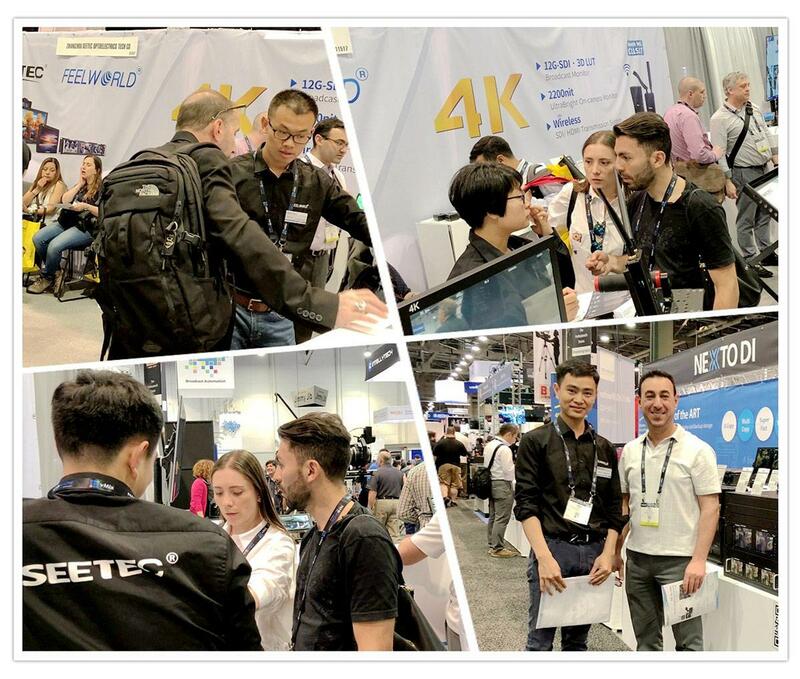 About NAB NAB Show, sponsored by the American Broadcasting and television equipment manufacturer association (NAB), is one of the most prestigious exhibitions in the world's electronic media. It is held in Las Vegas in April, bringing together the top top brands in the world and having a strong international impact. Every year, it will attract more than 1700 businessmen from more than 160 countries and more than 100 thousand practitioners and enthusiasts from all over the world. The total area of the exhibition is over 90 thousand square meters. It is one of the largest, most specialized and most influential professional exhibitions, and is favored by people from all walks of life. Thank you very much for your little friend who has been sticking to your post. I earnestly introduce every product to every customer and answer questions. Next, let I take you through the time and space to review the wonderful time of the exhibition. In the course of the exhibition, the products and solutions displayed by rate are widely concerned by the people of the foreign television stations and radio and television institutions. They have shown great interest in the new products on display. 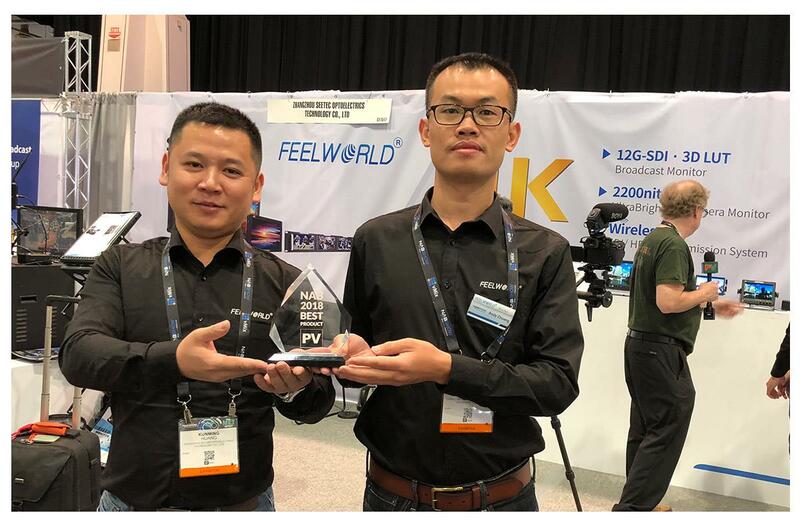 And won the PV 2018NAB Award for best product award from the media. For the 4 day 2018 NAB exhibition, C11517 attracts many visitors from both home and abroad to visit and consult. Many old customers and dealers have also come to the booth for communication. 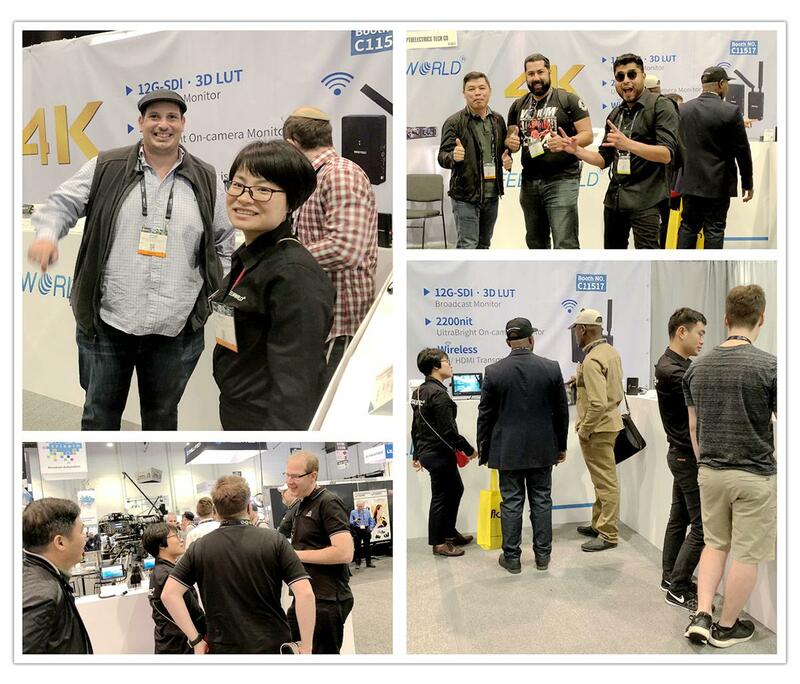 The new products are favored by many new customers, and many new customers have consulted in detail on the scene, hoping to cooperate deeply through this opportunity. What are the highlights of the product? Let's go to see the exhibition of the SEETEC/ FEELWORLD. 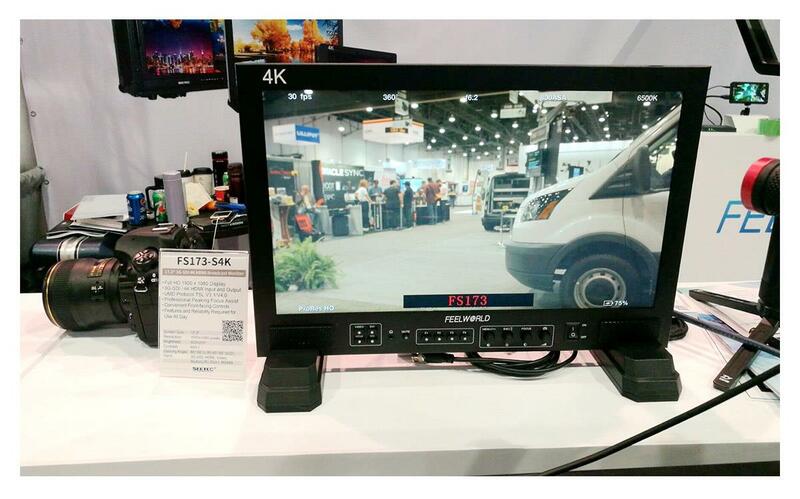 The product line displayed at this NAB show mainly includes 4K Small On-camera Monitors, 4K Monitors, Professional Monitor, Broadcast Monitor, Rack Mount Monitor, Wireless Transmission System, Converters Box etc., bringing leading-edge electronics products for everyone! 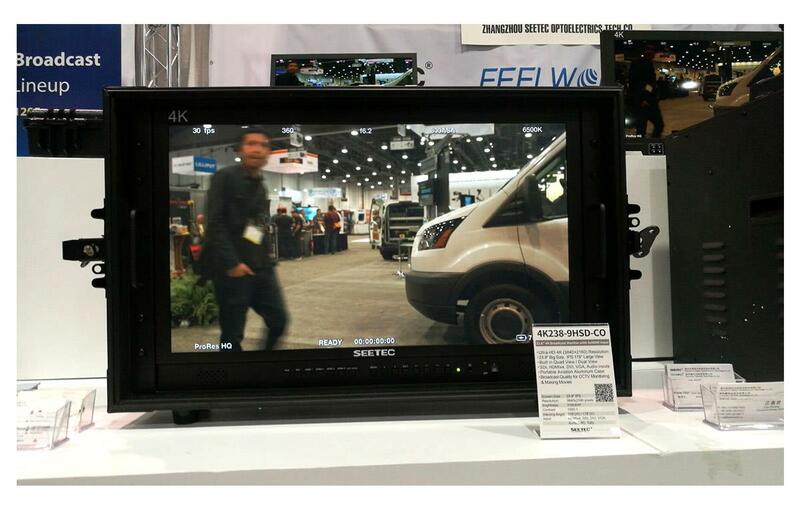 The affordable FEELWWORLD 4K series has attracted a lot of attention from users at NAB. 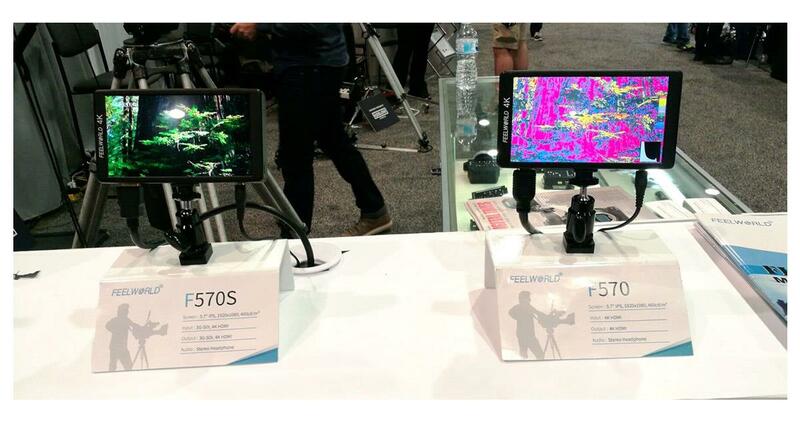 FEELWORLD F570/ F570S use 5.7 inch 1920x1080 Full HD screen, narrow frame and aluminum alloy fuselage design, very light and strong, and equipped with brightness histogram, auxiliary focus, false color, nine grid and other functions, favored by users. If you are SONY FS5 or other SDI cameras, then F570S is your good choice. F570S added SDI input and output interface on the basis of F570. 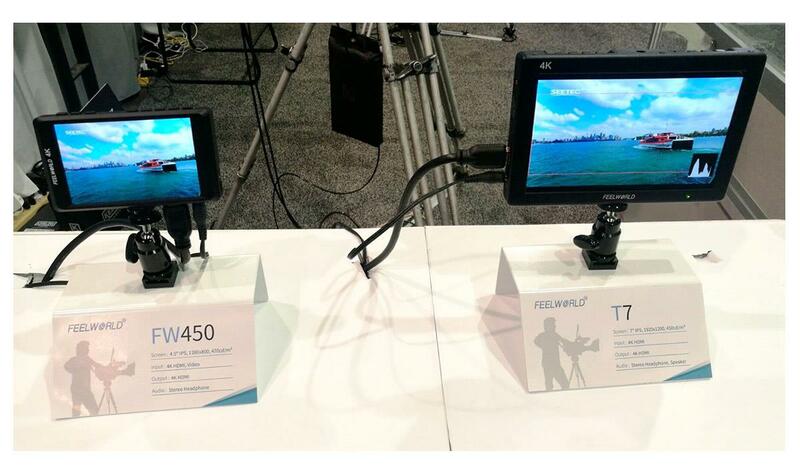 FEELWORLD FW450 monitor, the monitor is very small, only 4.5 inch IPS screen, support 4K HDMI input and output, although only 720P resolution, but this monitor is very suitable for SONY A72 or A73 to help you solve the problem of not seeing the screen, in the control size, you can see your own video. FEELWORLD T7 provides a larger screen to observe, a 7 inch Full HD IPS screen, a professional video color software coloring, a 4K HDMI input and output interface, and a complete exposure and composition tool. Aluminum alloy body and strong workmanship can help you resist harsh environment. FEELWORLD T7 can help you accomplish many creative challenges. Because of the more urgent, this FEELWORLD FH703 has not yet a complete shell, but this product will soon be listed, with 2000nit high brightness, so you can see the whole picture in the daylight, and also have 4K HDMI input and output and complete exposure and composition tools. 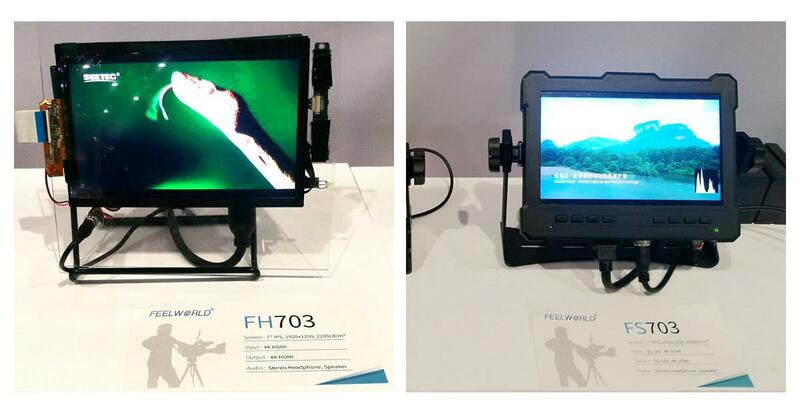 FH703 was well received at the NAB exhibition. Even though there was no shell, some customers wanted to buy it. And FEELWORLD FS703 added SDI input and output interface on the basis of FH703. The same is 2000nit high brightness. 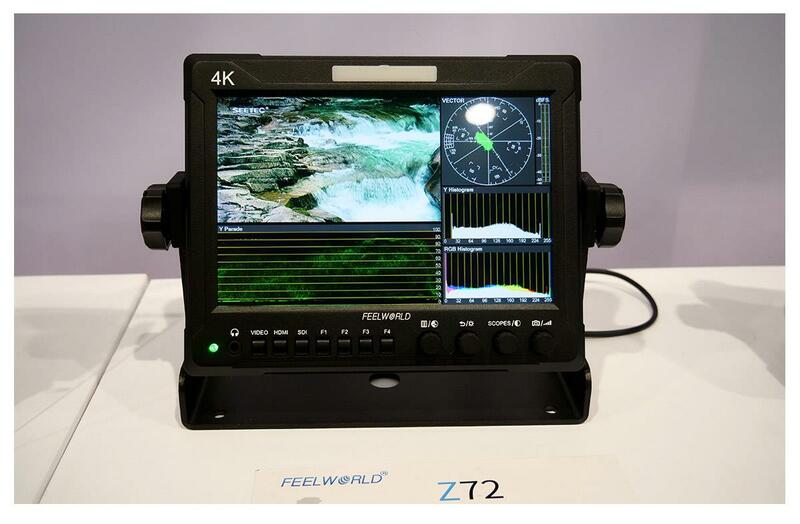 FEELWORLD Z72 is a 7-inch professional with scopes, full HD LCD display, equipped with 3G/HD/SD-SDI, 4K HDMI, Video input and output interfaces, providing a variety of waveform, vector and other graphic analysis functions that suitable for applications requiring high image quality and post-editing and production. FEELWORLD 4K101HSD-256 10.1 "monitor, this is a 2K super high resolution, support dual view display, with 3G-SDI, 4K HDMI2.0 interface broadcast level video monitor. 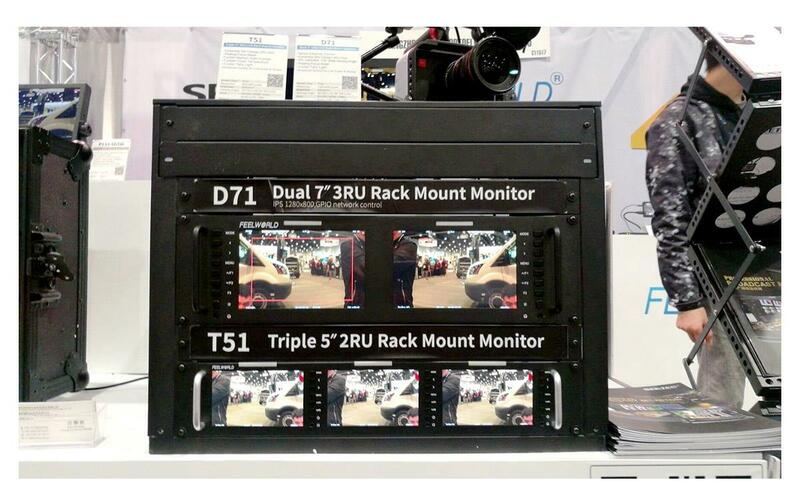 In terms of Rack Mount Monitor, this exhibition brings D71 dual 7 inch monitor and T51 5 inch triple monitor, HD broadcast SDI monitoring, designed for studio, TV broadcast control system and live on site! For large-size monitors, several new monitors are also brought in to meet the diverse needs of film and television crews. 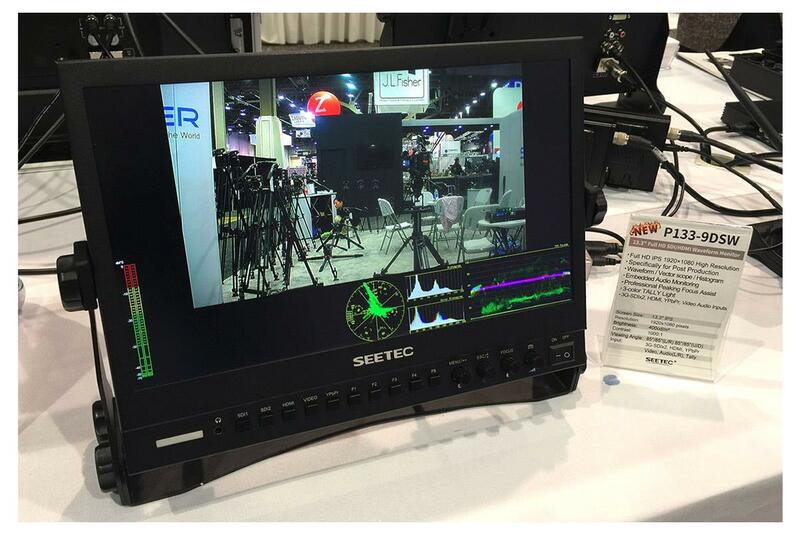 SEETEC P133-9DSW, with a lightweight, portable design, is a full high definition display. The back interface design is equipped with 3G-SDIx2, HDMI, component YPbPr, Video and Audio (L/R) interface. The monitor uses a solid metal body with a special support. The built-in waveform monitoring function is ideal for many filming scenes such as movies, TV dramas, TV commercials, and so on. SEETEC FS173-S4K, the button use special night light technology to let you know the current input signal and the shortcut keys used. With 3G-SDI, 4K HDMI input and output, UMD and text-tally display, , to provide comprehensive video production support for shooting the scene, television stations, studios and outdoor OB van applications. 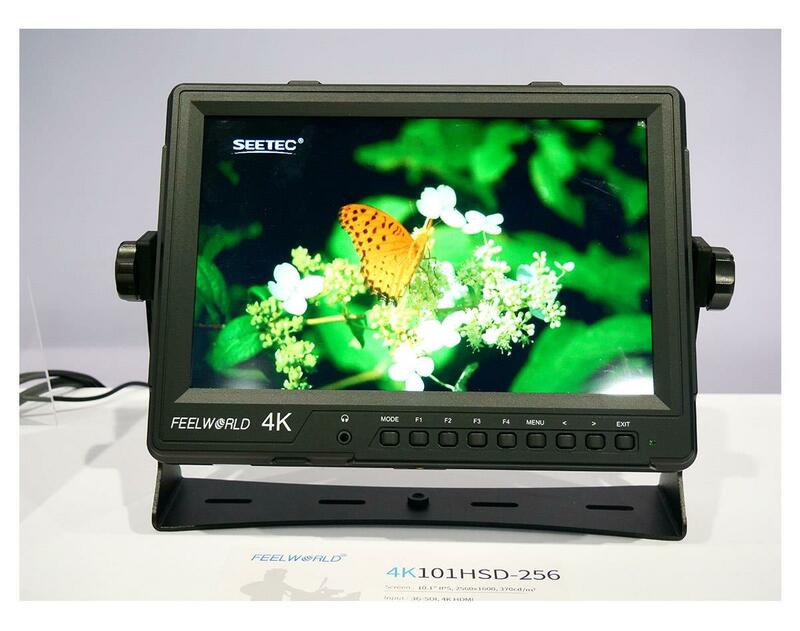 SEETEC 4K238-9HSD-CO screen is 4K (3840x2160) resolution, carrying 4 road 4K HDMI and 1 road 3G-SDI input, also has DVI, VGA, AudioL/R input, multi screen display function, to meet the director's multi - camera monitoring requirements. Moreover, the carry-on design is used to improve efficiency and save time and cost when changing frequently. 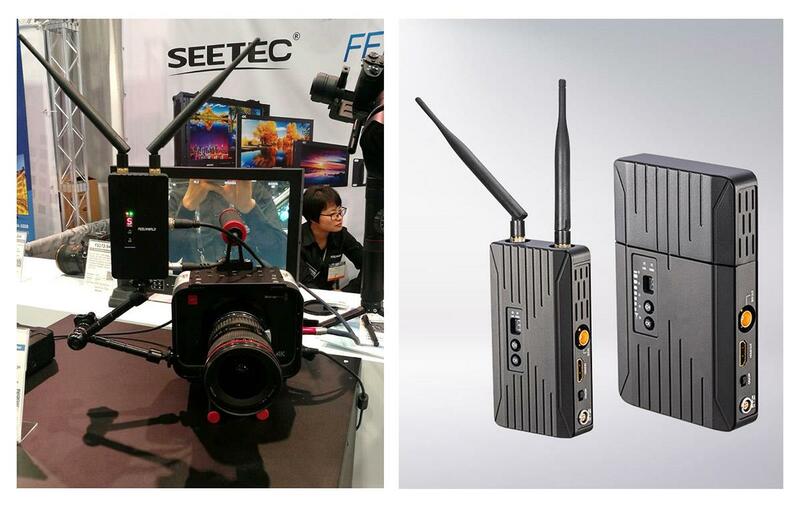 SEETEC WHD151 provides a more convenient and secure solution for live broadcast scenes. Plug and play settings can fully meet all kinds of indoor and outdoor shooting needs, especially the characteristics of free wiring, which will bring you a safer and more professional enjoyment. 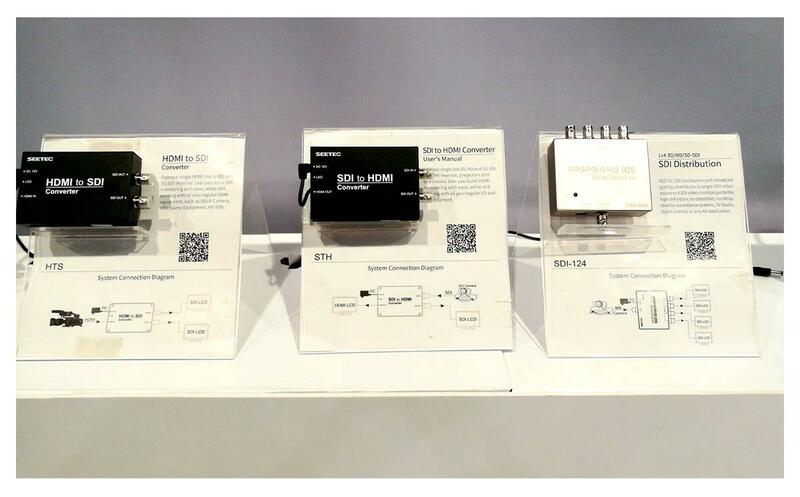 Of course, we also display other acquisition cards, conversion boxes and dispensers at the exhibition to meet your needs of multipurpose applications.